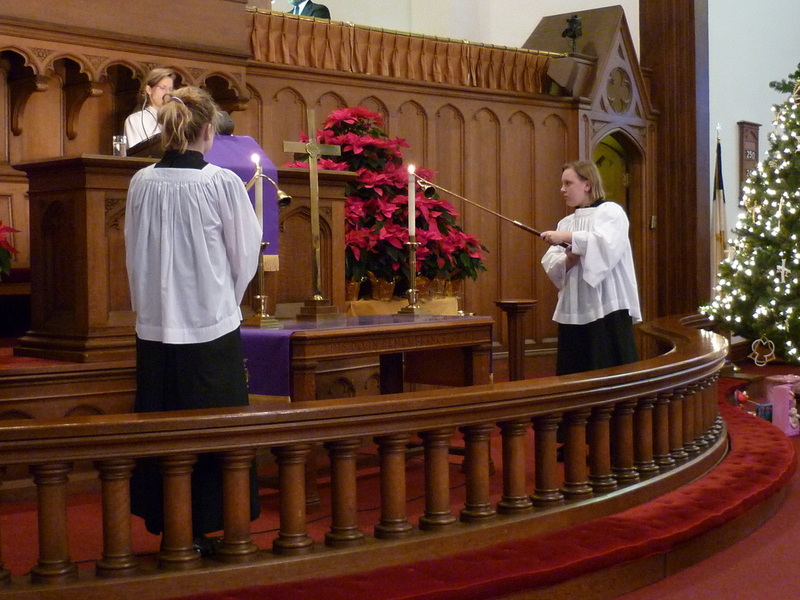 Worship at Duke Memorial UMC is traditional, dynamic, and hopeful. Every Sunday at 10:55 am, our congregation gathers to hear God’s Word through scripture readings and dynamic, engaging preaching, to praise God through music, song, and dance, and to lift our voices in prayer and thanksgiving. We celebrate Holy Communion monthly, and gluten-free communion is available. We worship in our large historic sanctuary, an inspiring worship space in which the stained glass windows surround the congregation and help to tell the story of our faith. No special dress.... just come as you are. Easter is always a special time of worship at Duke Memorial, when the congregation gathers early in the morning for fellowship and a warm breakfast, children take the Journey to Easter, the altar is adorned with flowers, and rich music helps us to worship God and celebrate the resurrection of Christ. The season of Lent, the forty days of preparation before Easter, along with Ash Wednesday to mark the first of these days, is also a special, introspective time, in which we ponder the death of Christ on the cross and reflect on our own temptations and sins. Toward the end of the year, the Advent Workshop and Candlelight Christmas Eve services crown the year with their beauty. Children are welcome in worship! Families with young children may choose to have their children in worship with them or to use our nursery care located on the upper level of the Education Building. If young children during worship need attention, parents can use the Lullaby Room, located off the back hall of the sanctuary, to watch a live feed of the worship service while consoling, feeding, or changing diapers for their children. We often enjoy children helping to lead worship through singing, dancing, playing bells, helping to usher, reading scripture, and in other ways. Our congregation desires that children feel welcome and a sense of belonging in our worship, that our children at a young age participate fully in worshipping God, and that they have opportunities to use their gifts to help lead worship in dynamic and meaningful ways.